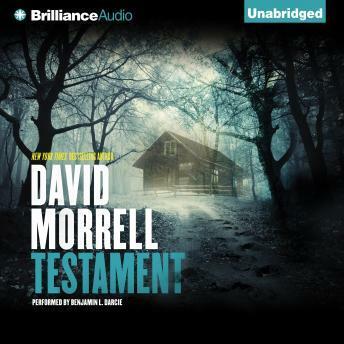 After creating Rambo in his debut novel, First Blood, David Morrell wrote his most intense novel, Testament. Its publisher called it "almost unbearably involving." Hunted by a powerful enemy, a man and his family flee their home and civilization. This thriller classic influenced many later thriller authors. It is not for the faint of heart.